I am 36 years old and have suffered my whole life with chronic sinus problems (I am extremely allergic to dust, mold, tree pollen, etc. )and seborrheic dermatitis. December of 2008 I dyed my hair for the 1st time. Several months later my scalp was inflamed and extremely irritated. In addition, I began to have symptoms of irritable bowel syndrome. After several months and countless hours on the internet trying to determine the cause of ALL my problems, I finally went to the Dr. and asked him to run test that summer. He took 4 vials of blood and said they tested my kidneys, liver, thyroid, and vitamin d levels (and also because I requested it he did a "celiac test"). Several days later I was notified that the only thing I tested positive for was a vitamin d deficiency and told me to start taking a multivitamin with at least 1000 IU vitamin d.
I could not believe it - a vitamin d deficiency? I worship the sun. My favorite summertime activity is soaking up the sun. I LOVE IT! Well anyway, I went for a scheduled Dr. apt. last week to check my vitamin d levels again and I still have a vitamin d deficiency. So, he prescribed vitamin d 50,000 units (1 capsule by mouth every week for 8 weeks). Is this safe? Is it enough? Should I get another opinion? Please help, I am now more confused than I was a year ago! Comments for I worship the sun, so how could I possibly have a vitamin d deficiency? Hmmm. You may be a summer sun worshiper, but you are also a perfect example of why I try to get EVERYONE to get a Vitamin D Level- because EVERYONE 'Thinks' that they get enough vitamin D, but if you read my Vitamin D and Sun page, at the very bottom you'll see that researchers went to Hawaii and did Vitamin D Levels on young healthy people. Lo and behold, they found that these young people with a self reported 28.9 HOURS PER WEEK of non-sunscreened sun exposure. Yet, they too were deficient!! I explain a possible reason for this on my Vitamin D Absorption page. If you WASH after sunbathing, you wash off the oil layer that is carrying the Vitamin D in it. You need to leave the oil on your skin for about 48 hours in order to get all of the benefit of Vitamin D from sunbathing!! Just another reason that I think that we are TOO CLEAN and it is harming us. So, yes, you and a whole bunch of Hawaiians are Vitamin D Deficient despite 'Abundant' sun exposure. And yes, if you read my Treatment of Vitamin D Deficiency page, you'll see that 50,000 IU's a day is perfectly normal. 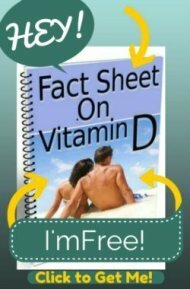 However, you should ALSO read my page on why you should not take the Prescription Vitamin D that your doctor gave you. 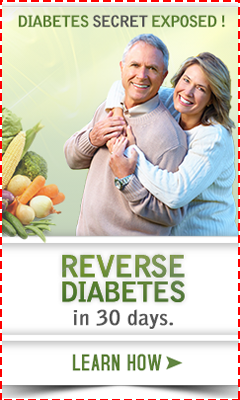 You should be taking Over the Counter supplements like the Vitamin D3 Supplements I offer here for exactly this reason. Now, to address your sinus infections and dermatitis. Those ARE highly suspicious of Celiac disease. But you do NOT have to test positive for Celiac in order to have Gluten Sensitivity. Read my Diagnosis of Gluten Allergy page to see why Celiac testing is often VERY wrong.